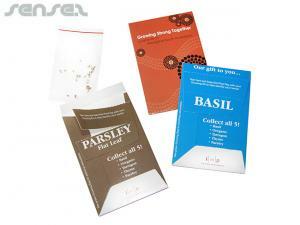 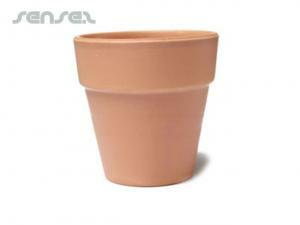 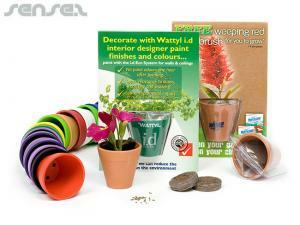 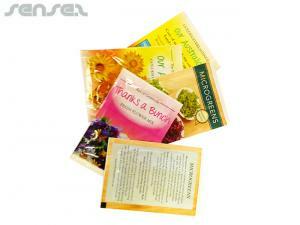 Nothing suitable in promotional eco friendly seed packets? 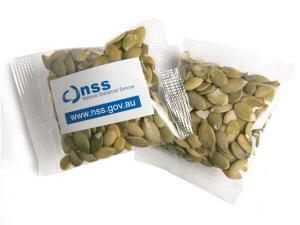 How about custom branded energy bars, logo printed corporate biodegradable items or one of our promotional mail out seed packs? 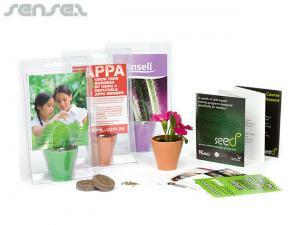 Promotional seed packs are fully printed with your custom logo print allover and make an ideal environmentally friendly gift. 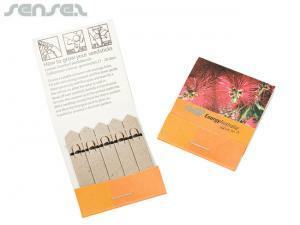 new Eco Friendly Seed Packets stand for renewal, environmentally friendly care, and good health and can be applied to a multitude of corporate promotions themes . 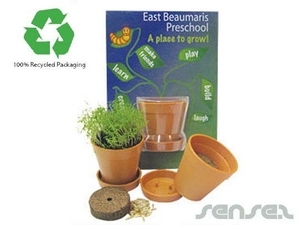 such as sustainability promotions, tourism promotions, hotel promotions health related promotions, nutrition focused promotions or even credit cards and finance companies or Government campaigns that have a Green Eco message to convey.